88 Energy (ASX | AIM: 88E) has secured seismic bang for its buck, adding 3D data to a 2D program – all within budget of the original 2D program at Icewine. The emerging oil stock told its investors today that it had almost finished a 2D seismic program aimed at locating the best possible site for a follow-up well to Icewine-1. The follow-up well will be a horizontal well drilled into the target HRZ shale, which DeGolyer & MacNaughton recently pegged as containing up to 1.4 billion barrels of recoverable oil across 88E’s acreage. 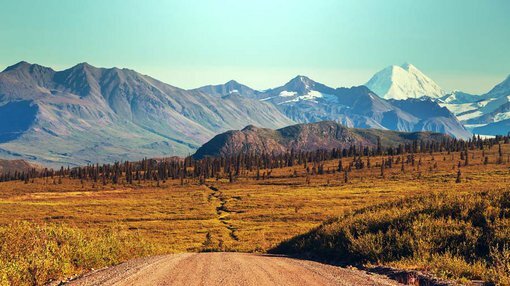 With the 2D coming in under a budgeted $3 million amount, however, 88E saw an opportunity to purchase additional 3D seismic from Alaska Seismic Ventures. It conducted 3D seismic over the proposed Icewine-2 location last year – and the addition of the 3D seismic will give 88E “better coverage, resolution and fold at depth”. The addition of the 3D sweetener will give 88E a clearer picture that it would have had if it had simply stuck to the 2D seismic – with managing director Dave Wall adding that the new data would add more understanding of the conventional potential of the site. “Finalisation of the 2D seismic with the added benefits gained via purchase of the ASV data, will allow the joint venture to gain valuable insights into the conventional potential at Project Icewine, whilst also mitigating drilling risk of the horizontal section for the planned Icewine-2H well,” he said. So far 88E has focused on the HRZ, an unconventional horizon, but the addition of 3D seismic could point to future development of Icewine including conventional horizons. Meanwhile, it said the next steps in the program would be to design the optimal fluid for fraccing, processing the 2D data, and designing the well. It also said that it had received official notice of award for acreage it picked up in November last year – which effectively tripled its acreage position. The payment 88E needs to make, $US4.25 million, will be covered by a recent placement it undertook – raising $25 million in the process. It hailed the oversubscribed placement as a ”step change” moment for the company.